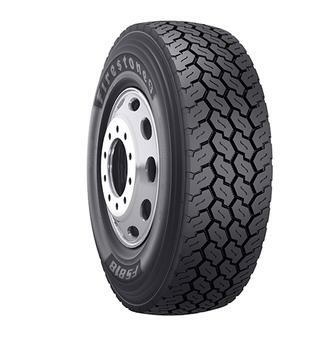 Bridgestone Americas Tire Operations (BATO) is recalling 2,707 Firestone FS818 tires with date codes 2318-2418, Bridgestone M854 tires with date codes 2418-2518, Bridgestone M860A tires with date code 2518, and Bridgestone M864 tires with date codes 2318-2418, all of size 425/65R22.5. The sidewall steel body cords may be exposed, which can cause unexpected rapid air loss during use, increasing the risk of a crash..
BATO will notify owners, and replace the tires with a comparable replacement, free of charge. Owners may contact BATO customer service at 1-800-847-3272.